It's Spring and bird nesting season has started! Ornithologist David Darrell-Lambert will guide a walk through the Horniman Museum gardens. Suitable for ages 5+. There is a small cost. BOOKING INFORMATION Purchase tickets online: £5 per adult, £3 per child. Why not turn your school, church or local tree pits into wildflower havens? Kew Botanical Gardens are offering FREE wildflower kits to communities through their outreach programme 'Grow Wild'. Apply now! The deadline is 31 March. Join Thames21 on Wednesday 22 January from 10am until 3pm! This is a project to improve the look and dynamism of the River Pool, one of our three Lewisham Rivers. This project aims to transform sections of the river with in-stream structures to speed up the flow and make it a more attractive river for wildlife and people alike. Volunteers will gain new skills, make a difference, and learn more about rivers and riparian habitats. All equipment and tea will be provided. Under 16s must be accompanied by an adult. This event is part of Thames21 waterways improvements and restoration projects and has been supported by Biffa, LB of Lewisham and the Environment Agency. Thames21 meets each Wednesday and invites volunteers who wish to join the organisation to the Wednesday clean-ups. Project Wild Thing- Do we REALLY need to be told to take our kids outside? "It's not the kids who dont want to put their hands in the mud or jump in a pon, it's the adults who have said no." ~ Chris Packham, Project Wild Thing. How much time do your children spend playing outside away from home, making dens and having adventures? This film is the work of David Bond, a dad who had real concerns that his city children were spending far more time indoors than he ever did. So we saw Project Wild Thing (PWT)last night- it's an interesting film which stimulated a lot of disccusion afterwards. Thanks to Tim Neville and the LewishamDads.com team for hosting the evening at Goldsmiths in Downham. First thing of note- lots of this is filmed in and around Lewisham! And Eltham reps hard too! Well done to the lovely girls from Eltham Hill for taking part! PWT is alternately funny and sad, exasperating and exhilarating. As children, we were always being accused of watching too much TV (Ninja turtles! Get in!) - but then we also took the dog out and raced round adventure playgrounds with other kids from our road. Project Wild Thing claims that most millennial children are cooped up inside playing Fifa and umbilically attached to their Ipads, and essentially they seldom venture outside- accompanied or otherwise. So is it true? Have 'rainy day' activities really become everyday activities? PWT would have it that children literally don't know what they're missing because they've probably never been to a wood or a beach and they aren't allowed further than the end of the street- "No wonder 60% of British Children have never climbed a tree." David Bond laments. Photo: Lewisham Scouts meeting chickens for the first time! Unnecessarily large portions of the film are taken up with advertising professionals "marketing nature" to the public. It's profoundly aggravating to have people who earn their livings teaching children to be lazy consumers, attempting to sell nature- WHICH IS FREE- back to them. That said, the film also features a group of mums drinking coffee around a kitchen table; one smiles as she tells her friends that she simply doesn't trust her son to walk to the corner shop. She know's he'll be fine, but 'you know!'. And they all laugh. It reminded me of work colleague who cracked up as she recalled her 18yr old son had called home from university every night for 2 weeks because he had run out of money for take away food and couldn't cook for himself. She hadnt prepared him for life without her and she couldnt have been happier. How she laughed. Don't we want confident, independent and curious children any more? Dont we want children who wont be afraid when they see an earthworm or shriek if they get mud on their jeans? Photo: A Lewisham Scout getting close to nature while playing hide and seek in hi-vis :D.
The SIXTY (!!) Advertising Execs in the film come up with ideas for marketing nature on billboards, on screens in shopping malls and a mobile app. The moment I held my head in my hands came when they produced a sheet to go into hospital packs for new parents. Gah! Seriously?! Do we really need to be told to take our own children outside? Well apparently we do! We're all double busy on the phone and ordering bathroom tiles off the internet and haven't the time to even think about playing pooh sticks or rolling down a grassed bank. But if that's the case, where are the uncles, aunts, grandparents and family friends?! How far have we strayed from what was the norm just 20 years ago? Now we need a movie and 30metre billboard to tell us that a little rain doesn't hurt! Honestly my heart sank watching young people talking about the outside as cold and dirty and worrying about fiendish predators around every corner. Photo: Lewisham kids discovering Lewisham worms and LOVING it! There are NO EXCUSES! We're so blessed in our part of London:- there are 85 community gardens in Lewisham and award winning parks with woods and lakes and huge wooden forts. 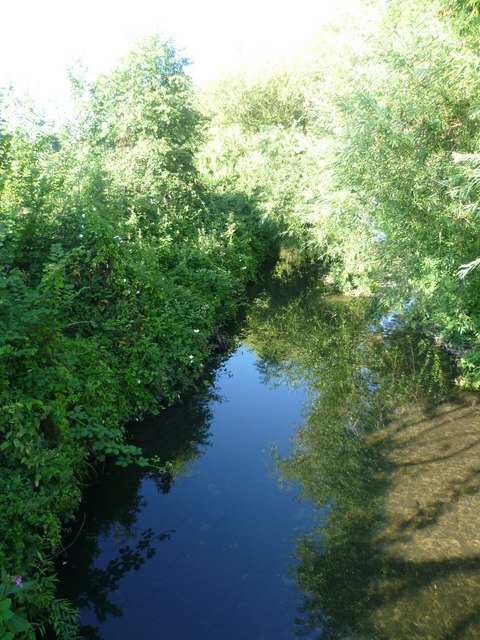 We have 3 local rivers with wading access, plus nature reserves in almost every ward. We have the huge and heavily wooded Beckenham Place Park and close by, Sydenham Hill Woods, Oxleas Woods, Elmstead Woods- they are all short bus rides away. And they're all all FREE! So what are YOU waiting for...permission? Are we all so compliant and dependent on council leaflets that we havent the gumption to Google 'Green spaces Lewisham'? Do we only go to places with cafes and visitor's centres now. Go see the film and then check the Lewisham Gardens site and Twitter feed for 100s of ideas for outdoor activities and events in your part of Lewisham. These are community spaces- so make use of them or ready yourself to be talk your kid through making microwave jacket potatoes sometime in September 2023. Busy Bees is back this week and your favourite weekend activities begin from 11 January including Art Makers and storytelling. Take part in the world’s biggest birdwatch! Everyone welcome. Find out more. Every January the RSPB encourage a nationwide bird count so we can check the number and diversity of birds in our parks and gardens. Come and join us at the Horniman for a day celebrating bird life and finding out what species are in our gardens. Help us with our Horniman Garden bird survey, make a bird feeder, make a bird puppet and explore some of our bird taxidermy, Bird expert David Darrell–Lambert from Bird Brain UK will be on hand to lead walks, help identify birds, and answer questions. We will have some binoculars available to borrow, but if you have some please bring them along. New Year, New Chicken Pen! We made the most of the bright, clear weather day.today; we worked with residents at St Mungos Homeless Centre in Hither Geeen to improve their chicken pen this afternoon. 2. Laying a deep mulch on the out new flooring for the birds. Residents raked out the thick waste- mud, droppings and straw (this was placed on the large compost heap and it will be ready to use in the gardens by the spring). Next, roughly half a tonne of chipped bark was barrowed into the pen. Very hard work but very worthwhile- it means the seven chickens wont be wandering around on on very wet mud in the cold this winter. The birds will also be insulated from any ground frosts. In addition, the 4 inches of bark will enhance the birds' environment, encouraging invertebrates and bugs which will be gobbled up when the chickens scratch about.